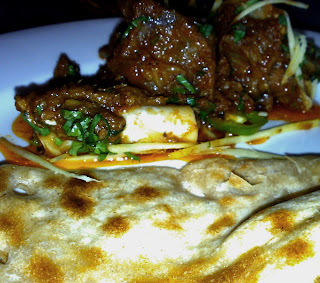 Here is a review of Fazl e Haq (nicked as Phajja) chain of restaurants. Now this is truly authentic Lahori taste we are talking about. Not even the neighbouring cities of Lahore have been found to be that keen about Paye (feet) or Siri (heads) of goats. It sounds gross, doesn’t it? But then again, this is us .. Lahories .. and you have already read about us eating goat testicles. 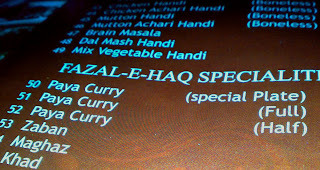 Fazl e Haq or Mr. Phajja was perhaps the first person who commercialized the idea by coming up with a Paye specialty restaurant in Hira Mandi, the Red light district (Taxali gate) named as Phajjay ke Paye. People would (and still) flock to this place every morning and wait in queues to have a breakfast of sticky and rubbery meat of goat feet. The Siri on the other hand is not a breakfast item. A typical Siri meal is accompanied by assortments like Maghaz (brain), Zuban (tongue) and Khad (Jawbone) – everything cooked of course. You eat it with Roti or Kulcha. Another reason for having started his venture in the red light district of Lahore was perhaps the purportedly aphrodisiac nature of these meals. Aphrodisiac or not, they are rich in cholesterol for sure. 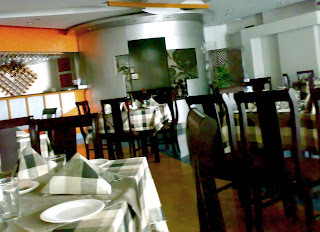 Fazl e Haq has now grown into a chain of restaurants covering almost all the major areas of Lahore. This includes Fortress stadium (you can see that in the picture), Gawalmandi, Red light district, Model town, and a few more places that I am not aware of. The new menu includes typical desi food stuff in addition to their specialty. You must go to the Taxali gate outlet to have the authentic experience. It is very close to the Shahi Mosque. If you think the Siri Paye experience can be risky, you should go to the Fortress stadium outlet. This entry was posted in Cuisine, food, Walled City and tagged Gawalmandi, goat, Hira Mandi, Lahore, model town, Phajjay ke Paye, red light district, Taxali gate, testicles. Bookmark the permalink.